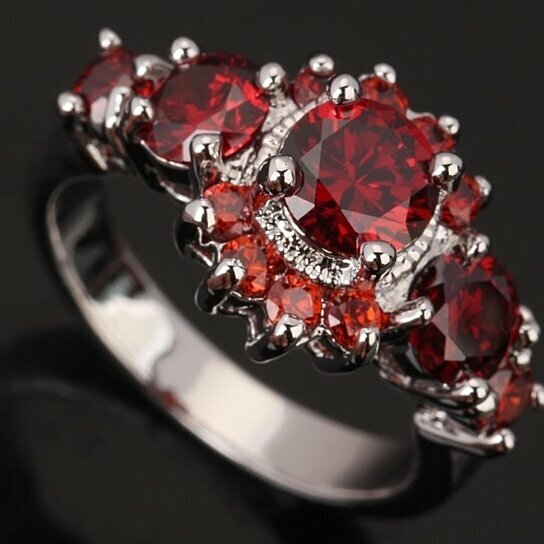 The deep red stone has been long since epitomized as the embodiment of passion to love and fidelity. Even Noah used a finely cut garnet that glowed to keep the endless nights and days on the legendary ark lit amidst the first Apocalypse! Koran reveres Garnet as the stone that built the fourth gate of heaven while Greek believed Garnet that garnet had special powers to save the drowning. Garnet is a stone of the bodily passions; simply out, your hormones. By stabilizing hormonal secretions and boosting the overall immunity of our body, garnet is a must-have stone for vitality and longevity. By enhancing absorption of minerals and vitamins, Garnet makes the wearer healthy as well. Renowned as the Stone of Commitment to Protection, Garnet is a healing crystal that can do multiple wonders, thanks to its power to activate multiple chakras. Garnet also cleanses spiritual blockages within your higher chakras by connecting you with your spiritual guide. Astral travel is yet another gift to wearing unique garnet stones that you bond. By sharpening your cosmic prowessand perception, garnet helps in seeking permanent guidance from the angelic realm too.